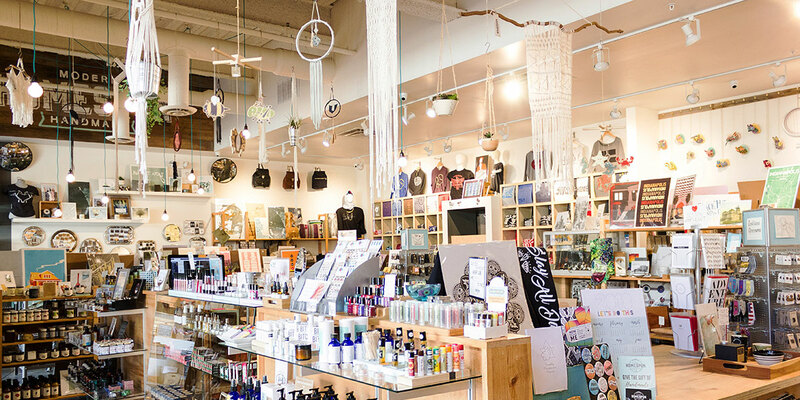 Shopping small, dining local, and supporting the arts are all activities synonymous with Indy’s Mass Ave. But have you trekked past College Avenue yet? Mass Ave’s East End gives you a reason to. 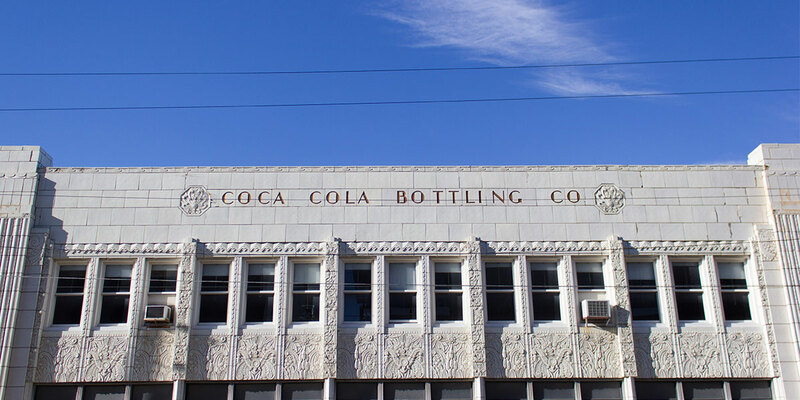 Boasting boutique shopping, a board game parlor, tattoo shop, hair salon, art galleries, and hip dining, all alongside the redevelopment of the historic Coca-Cola Bottling Company, it’s time to get in the know. What’s happening to the Coca-Cola Bottling redevelopment you ask? A West Elm boutique hotel, Living Room Theater (think art cinema), retail, dining, residential, and much more. Get all the info on the redevelopment here. Now, hop on your Bikeshare, get on the Cultural Trail, and take a tour of the Avenue’s most up-and-coming block. 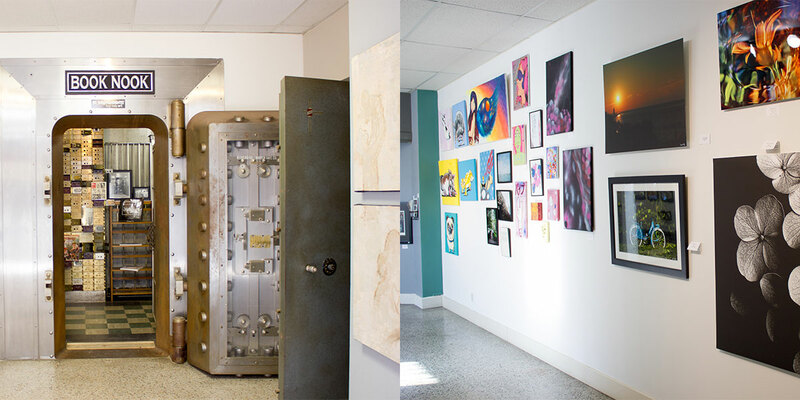 When a 1920’s bank is redeveloped into an art gallery, it does not disappoint. 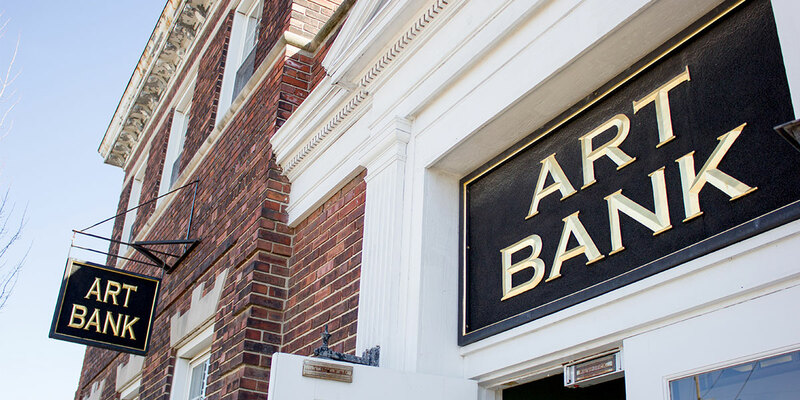 With over twenty exhibiting artists at a time, Art Bank is one of Indiana’s most recognized and respected galleries. You can find them at 811 Mass Ave. To learn more about Art Bank and the artists currently exhibiting, click here. 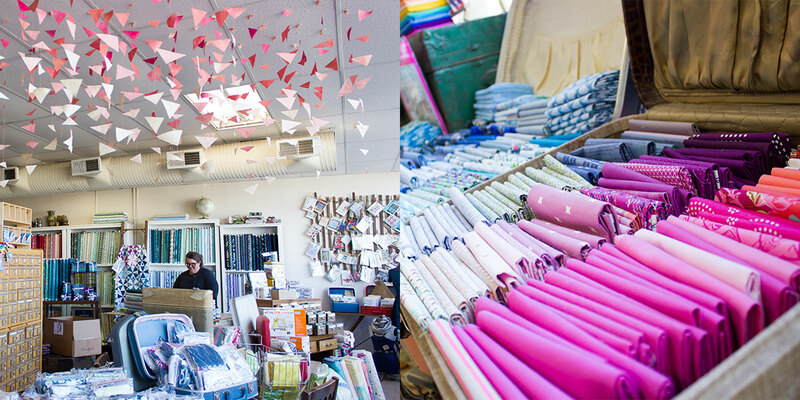 For the novice and the experienced quilter, Crimson Tate is the place to be if you’ve got a talent for textiles. 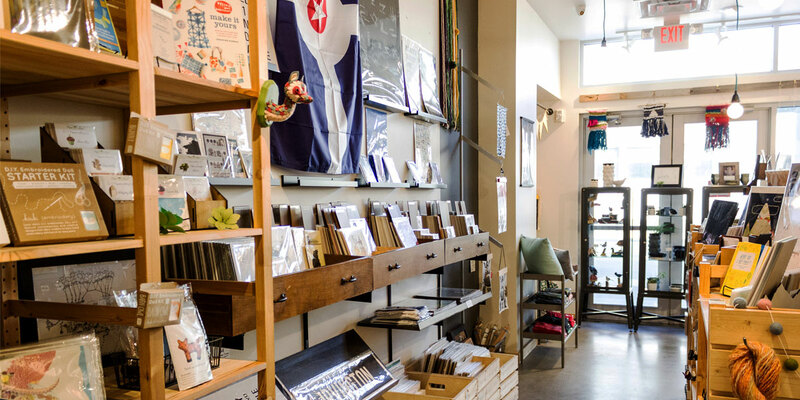 Home to the best selection of contemporary fabrics in Indianapolis, they’re also packed with a wealth of information (and classes) if you’re just getting started. 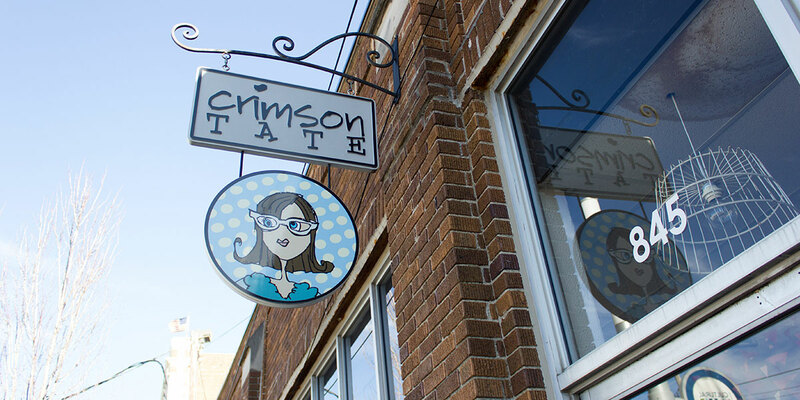 Visit them at 845 A Mass Ave and learn more about Crimson Tate here. 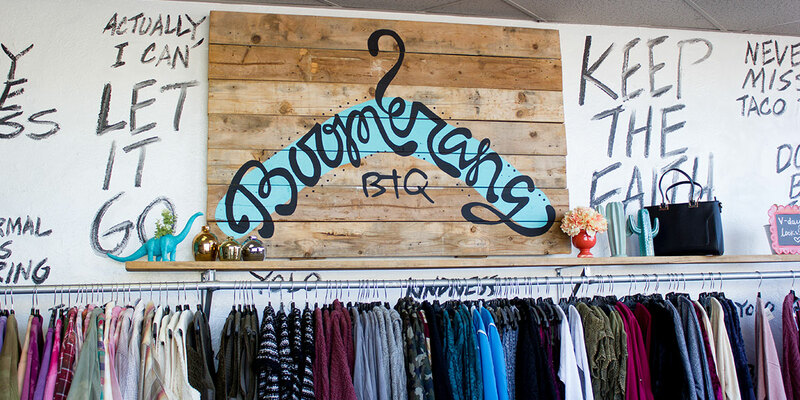 From dinosaur air plant holders to trendy text-laden pillows to jewelry and apparel, Boomerang Boutique is all about expressing your personal style. This little gem at 845 B Mass Ave has grown from store front, to online store, to mobile boutique! 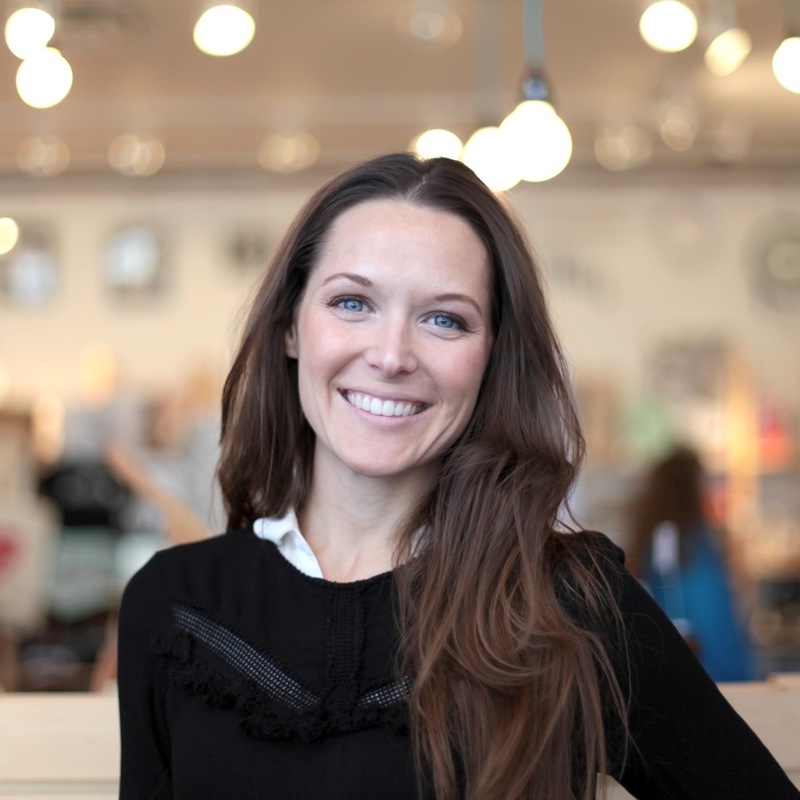 While you’re in, don’t forget to check out their best-selling item, Felicia Tees, designed by owner/operator Felicia Kiesel! More about Boomerang here. 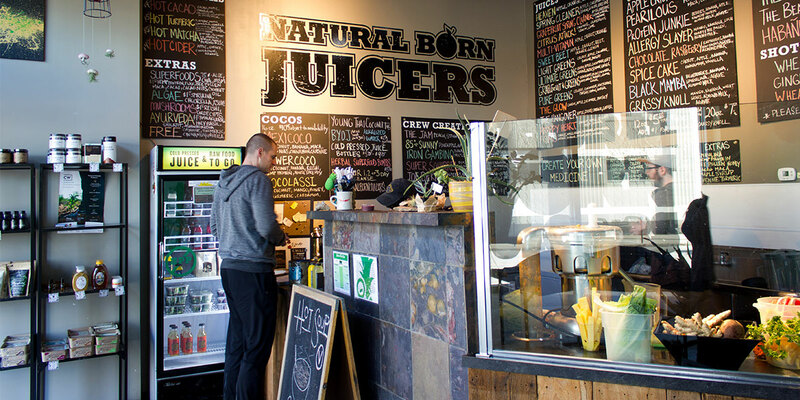 Whether you’re needing a morning (or midday) pick-me-up or you’re wanting to kick off spring with a cleanse, Natural Born Juicers is your one-stop-juice-shop. From cold-pressed non-HPP juice, old school centrifuge make-your-own-medicine juice, cleanses, blends, smoothies, live foods, and superfoods, you can find them at 865 Mass Ave (right next to us)! Hi! That’s us! Right at 869 Mass Ave, we house over 400 individual artists, makers, and crafters from around Indiana, the Midwest, and the nation! Our products range from jewelry to bath & body products, artisanal foods to stationery, prints to 3D art, housewares to apparel and more. Founded in July, 2010, we’re an outgrowth of the INDIEana Handicraft Exchange, central Indiana’s first contemporary craft fair. -And hint, hint, our next show is on June 16th! Find more info here. Located at 871 Mass Ave, The Big Green is working to build a national school food culture that promotes youth wellness. By connecting kids to real food through a network of Learning Gardens and food literacy programs, The Big Green creates engaging outdoor classrooms that increase academic achievement and drive community engagement. 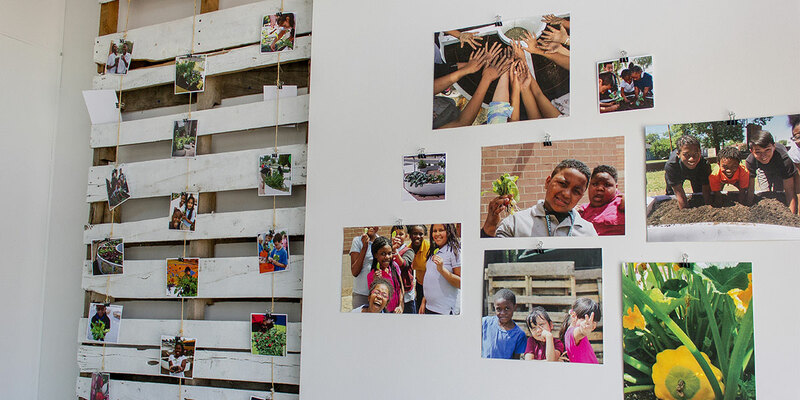 If you’re interested in bringing a Learning Garden to your community, reach out here. 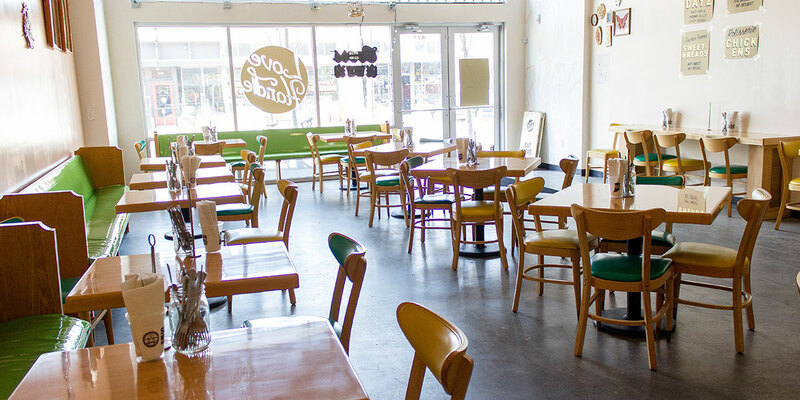 Retro decor + protein topped waffles + biscuits and gravy = the best brunch ever. Welcome to Mass Ave, Love Handle! With a menu that changes daily, and plates that never disappoint, Love Handle needs to be your new go-to morning-with-friends joint. And then you can all share the most amazing cheesecake we’ve ever tasted (it’s made with goat’s milk, and nothing will ever be the same). For daily menu and business hours, check out their Facebook page here. 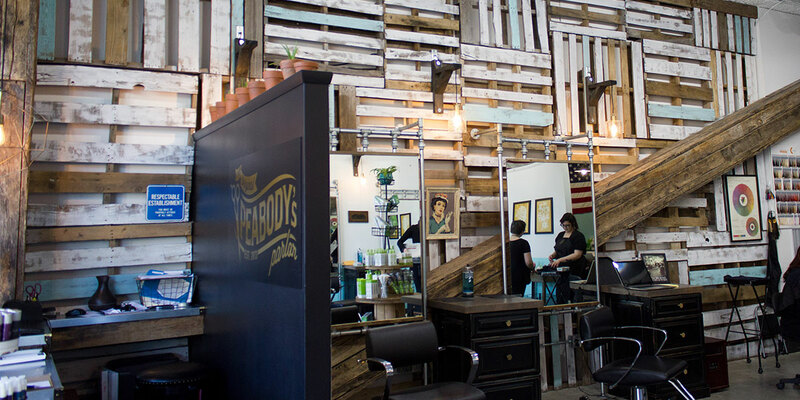 Blending vintage design with on-trend techniques and styles, Peabody’s Parlor was built on business owner Steffanie Peabody Boram’s reputation for professional, client-centered services delivered in a warm and welcoming atmosphere. 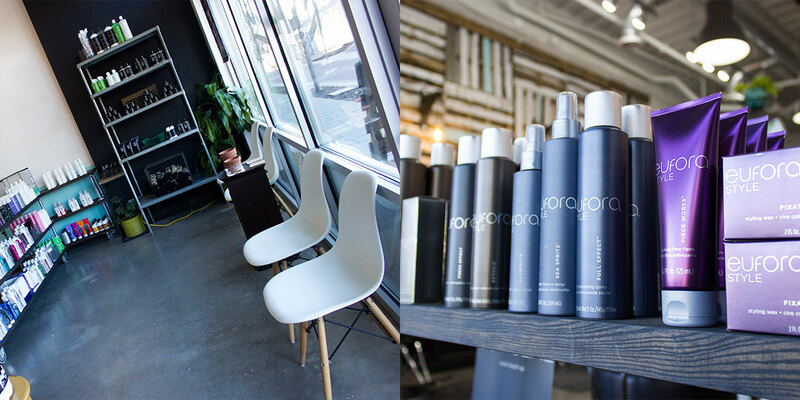 Literally every stylist is delightfully down-to-earth and we would know – we go there ourselves! 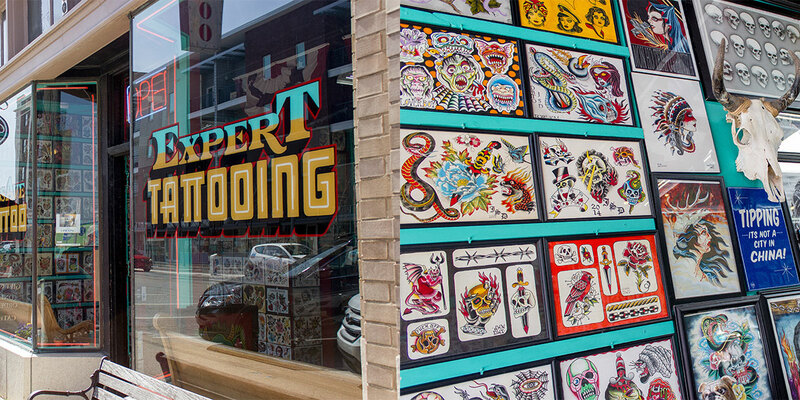 To book an appointment and learn more about Peabody’s, check out their website here. 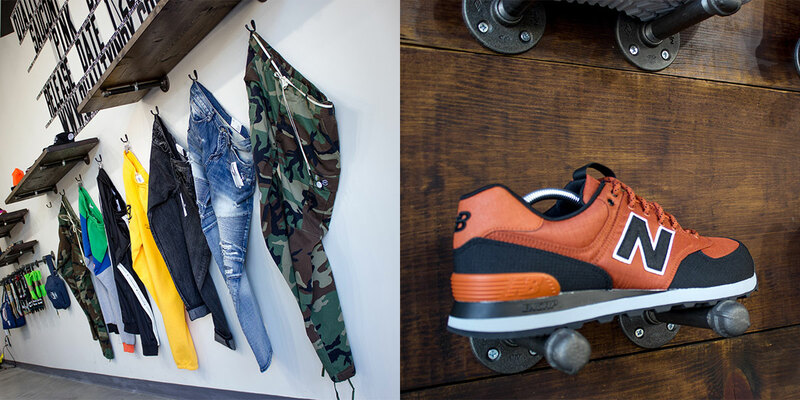 You’ll feel instantly cooler walking into this boutique. 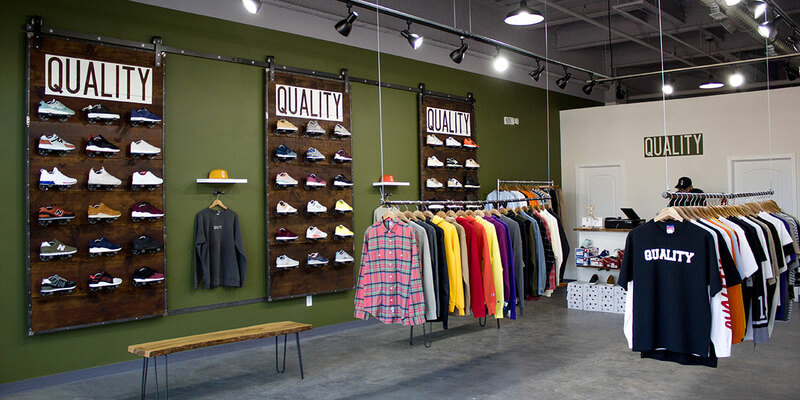 Quality’s contemporary, lifestyle inspired shop provides footwear, apparel, and accessories from a variety of brands for men and women. Located at 879 Mass Ave, you can view styles and their look-books here before stopping in. 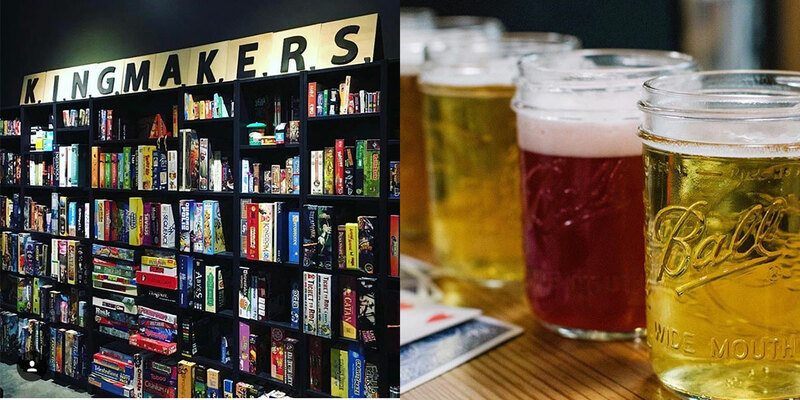 Boardgames and beer? What’s not to love? 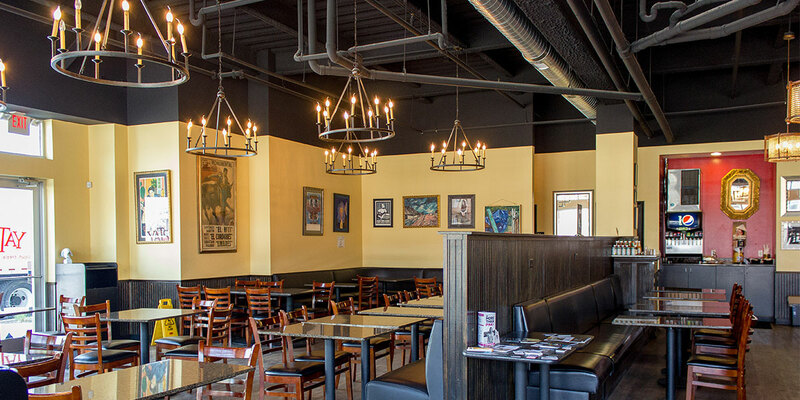 Grab your coworkers, friends, and family and head over to Kingmakers, located at 881 Mass Ave! With hundreds of games in their library and a staff that can teach you each one, Kingmakers has redefined family game night (yes, you can bring the kids, or not). Just a $5 per player Library Fee is added to your tab and allows you to enjoy as many titles for as long as you want during your visit. Read over their FAQs here. Our East End of Mass even has a Yats! The popular Cajon/Creole restaurant gives you a quality bite quickly and affordably. Check out their daily menu here and stop in to the shops after lunch! “The more you read, the more we help…” -Indy Reads’ motto and they certainly live up to it. Housing both new books and old, all of the proceeds from your purchase help to support adult literacy programs! 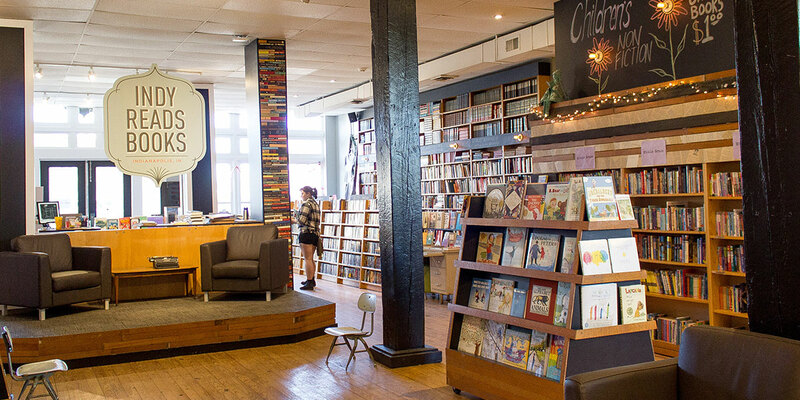 And being one of the few bookstores in downtown Indy, it’s worth a visit for the beautiful interior alone. Find Indy Reads at the far East End of the avenue at 911 Mass and learn more about their nonprofit mission here. Across the street from Indy Reads, find the hidden gem, Black Market. 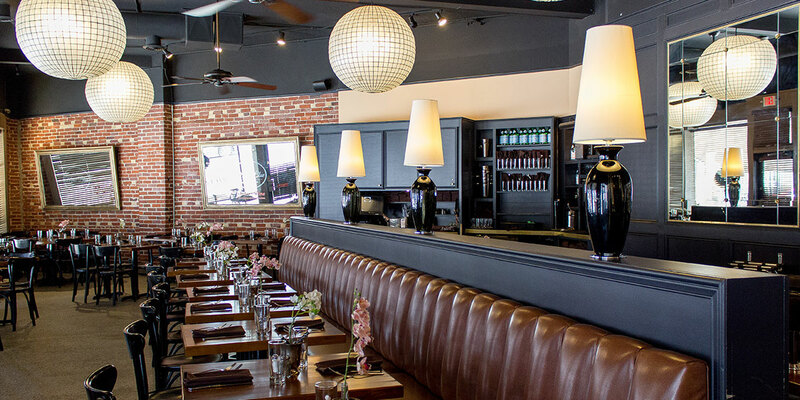 Offering unique, farmhouse cuisine, a full bar, and an award-winning wine list, Black Market welcomes you in jeans or a suit. Looking to escape the bustle of city? -Relax on their lush patio. Filled with greenery, herbs, and vegetables that the kitchen uses for their own recipes, this will quickly become one of your favorite urban-getaways. Find them at 922 Mass Ave and read more about the restaurant here. Buildable mac ‘n cheese, brisket, and craft beer? Yes, please! 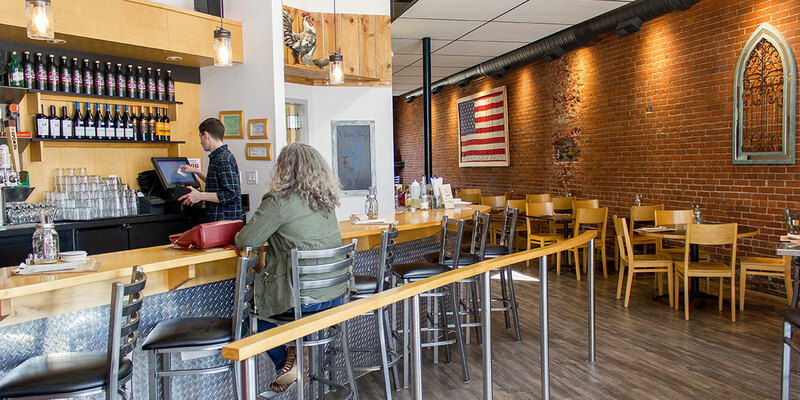 Find all the nostalgic entrees from Rooster’s Kitchen at 888 Mass Ave. Browse their menu (which includes gluten free and vegetarian options) here. You can’t forget the pups (and kitties too). 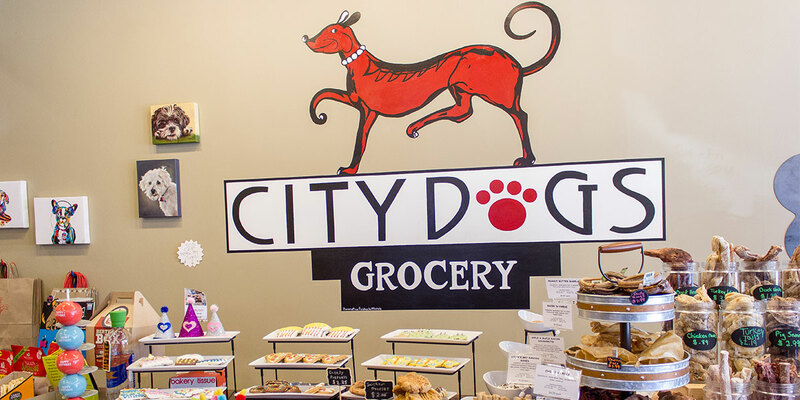 City Dogs has toys, treats, and quality food for your four-legged friends. 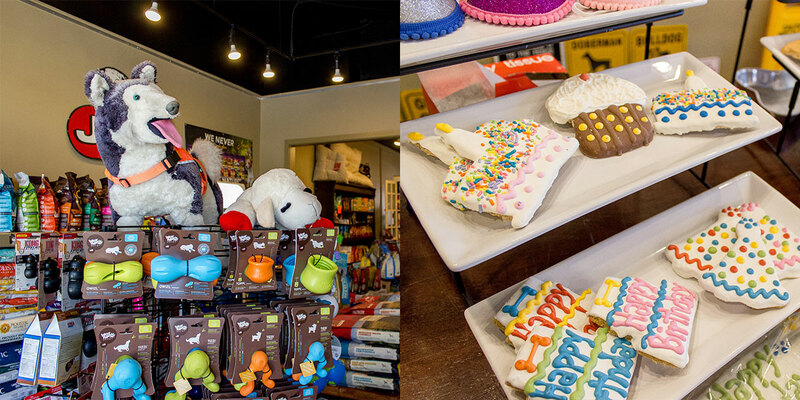 Celebrate Fido’s birthday with a freshly baked, frosted puppy-safe cookie! They can even enjoy complimentary water bowls out front while you continue your walk down the avenue! 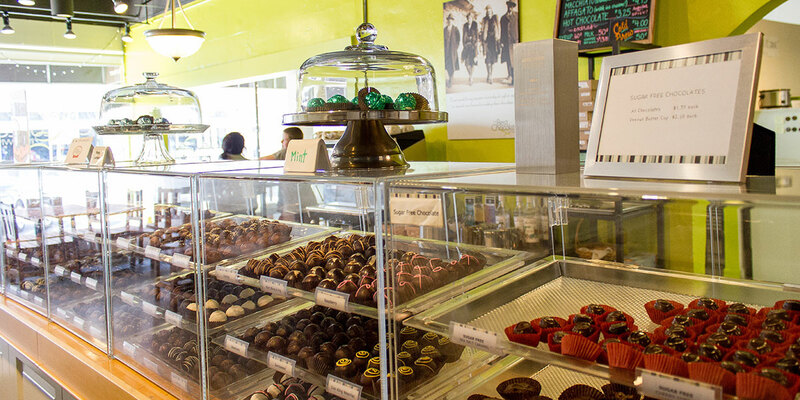 When it comes to a chocolate shop, you can’t beat The Best Chocolate in Town. Featuring a wide array of creative truffles and other chocolatey treats, the recently refurbished shop now has a coffee bar and seating area for you to enjoy your chocolate, slowly. Bringing the kids with you? -They can get ice cream inside too! Perfect after-school treat! Find them at 880 Mass Ave.
After you get your chocolates, head next-door to Mass Ave Wine! 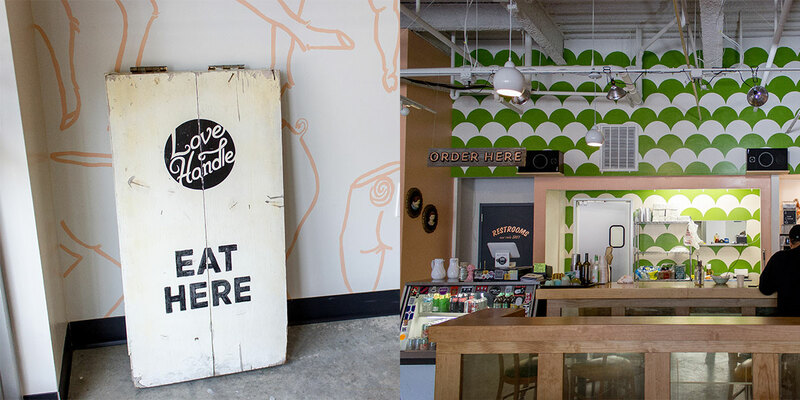 Not just a wine shop, Mass Ave Wine is a cafe, tasting room, and art gallery as well! 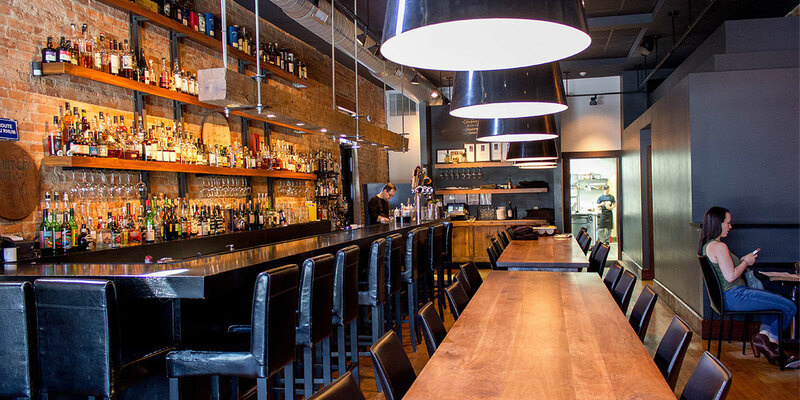 With a cafe menu full of small plates, signature pizzas, salads, appetizers, sandwiches, and cocktails, it’s a wonderful lunch or after-work destination. 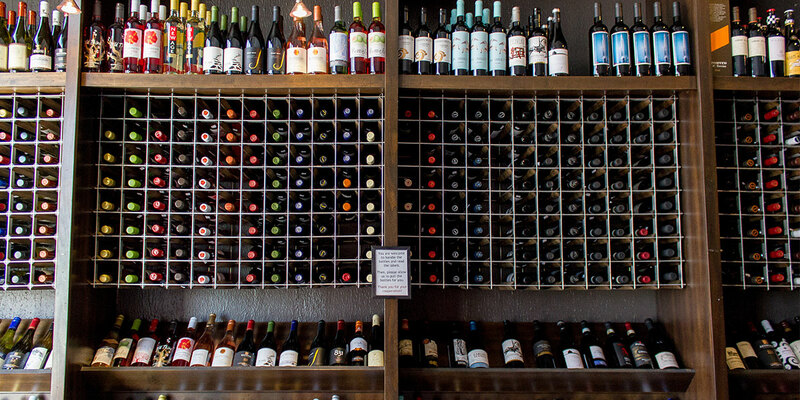 And if you need help deciding on the perfect bottle, their knowledgable staff is there to help! See their menu, tasting days, and more on their website here. 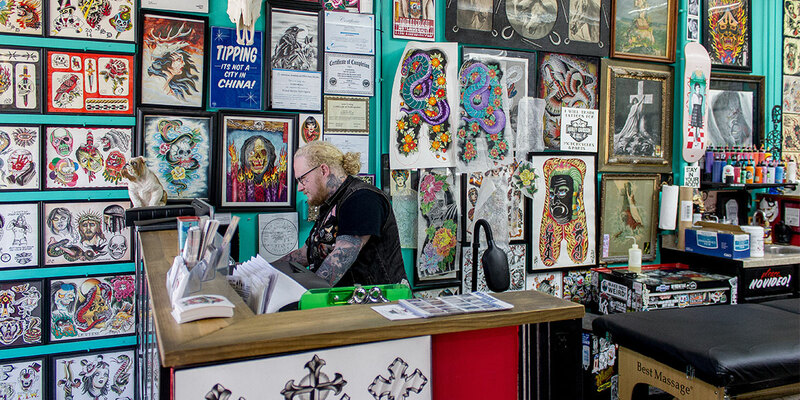 Covered in original work from each artist, the walls are a testament to the talent at Mass Ave Tattoo. Walk-ins are welcome during regular business hours, or you can book your appointment by giving them a call. See more of their work on Instagram and then go get yourself some ink! With a timeless interior and a menu that allows us to create a new dish every time we visit, we never knew how much we loved meatballs until Mimis showed up! We, also, had never tasted mac ‘n queso before, and now we can’t imagine life without it. Check out their menu here and then reserve a spot on their patio for a night of shopping and dining on the East End! We hope to see you around the Avenue soon! On this week’s ICYMI April 20 blog, we’re sending out all the good vibes for spring to stick around! Cross those fingers with us and check out some of our new product and events happening in store! Bring spring into your home with handcrafted ceramic bud vases from Linnea Campbell Ceramics. And, have you always wanted to bottle the scent of our store? Well, Onyx Exchange did that for you. 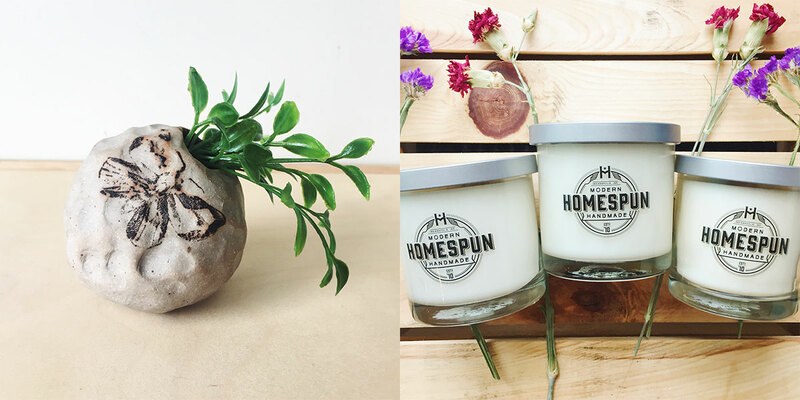 You can now purchase Homespun scented candles right in our store! It’s a citrus herbal mix and we think it’s pretty spot-on! 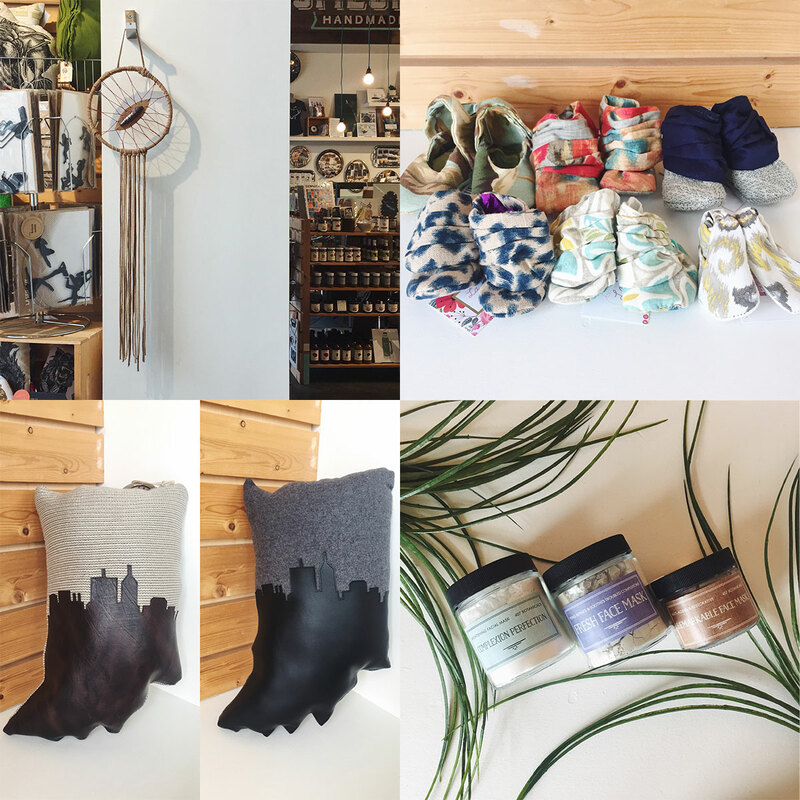 Handmade dreamcatchers, up-cycled baby booties, and all natural face masks, can it get better than that? (If only we had puppies and kittens in store). Have a DIY-er in your life? You can purchase those faux leather Indiana pillows in store as-is, or you can get a kit to do it yourself! What a fun weekend day project, especially if we get another bout of cold/snow/rain (our fingers are still crossed that we don’t). Remember those cocktail lip balm packs we showed you last week? Well, you can also buy them individually, you know, if you only like IPA’s (this girl). 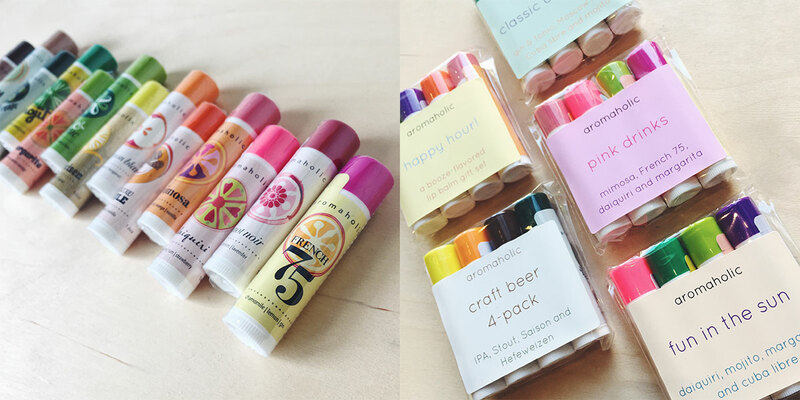 From beer flavors to mimosa, margarita, and more, these lip balms will be sure to make you giggle, even if they don’t have any real bubbly in them. Start your shopping lists now! Vendors have been selected and announced on our vendors page here. 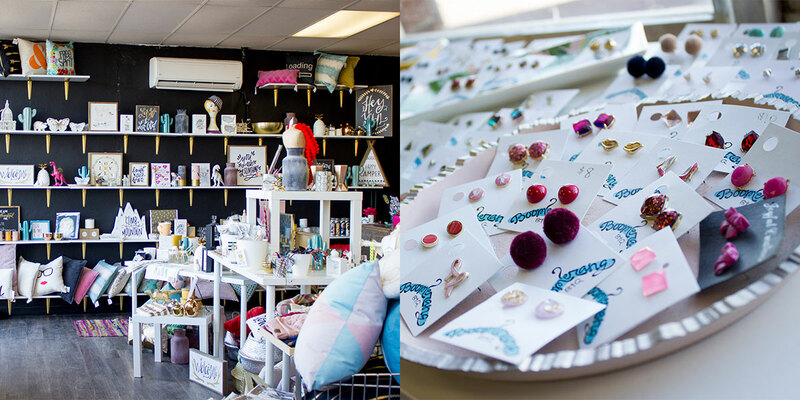 Never been to an INDIEana Handicraft Exchange? Well…join us for a summer afternoon filled with contemporary craft, live music, food trucks, ice cream, beer, and cider on Saturday, June 16th from 12pm-8pm! 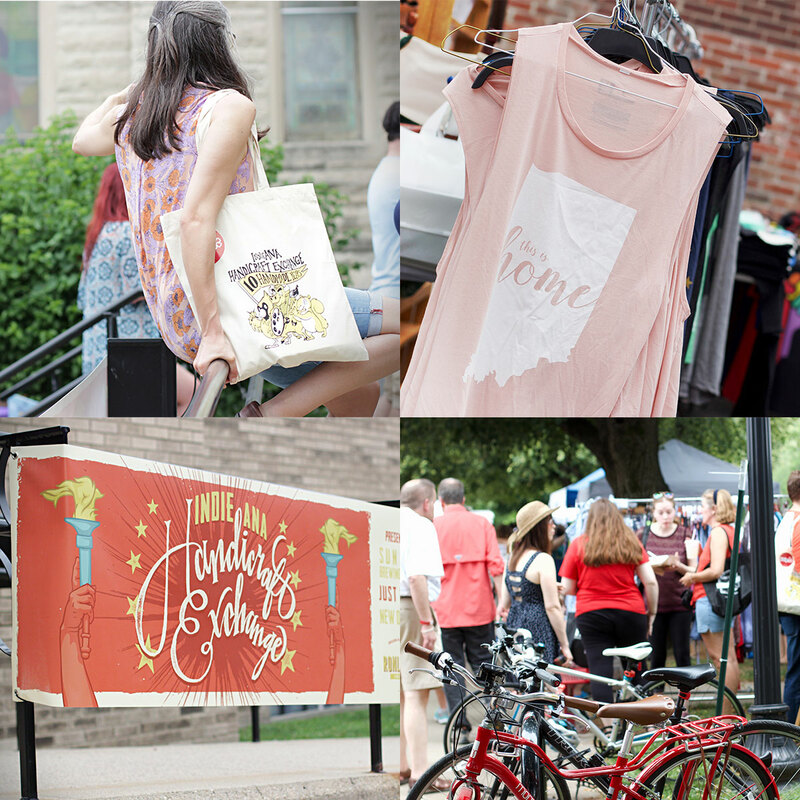 We’ll have over 100 vendors slingin’ their handmade goods and you can enjoy music from The Independent Music & Arts Festival which is held on site the same day as our summer show at The Harrison Center for the Arts. Admission is always free to our patrons and the event is family-friendly and open to all ages. 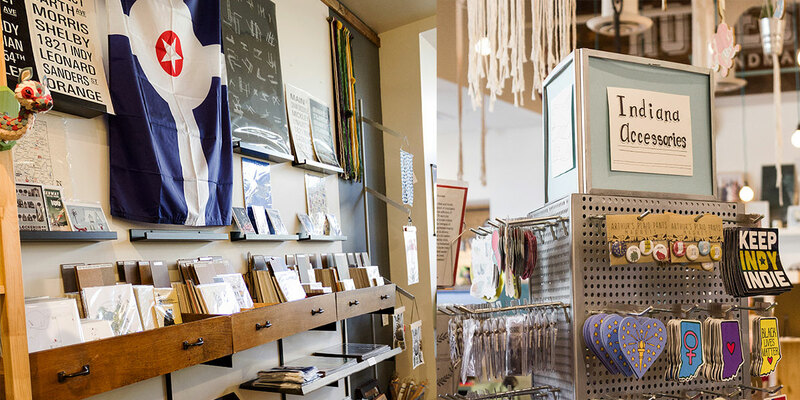 Every month, Homespun: Modern Handmade hosts a celebration in collaboration with iDADA’s First Friday events. 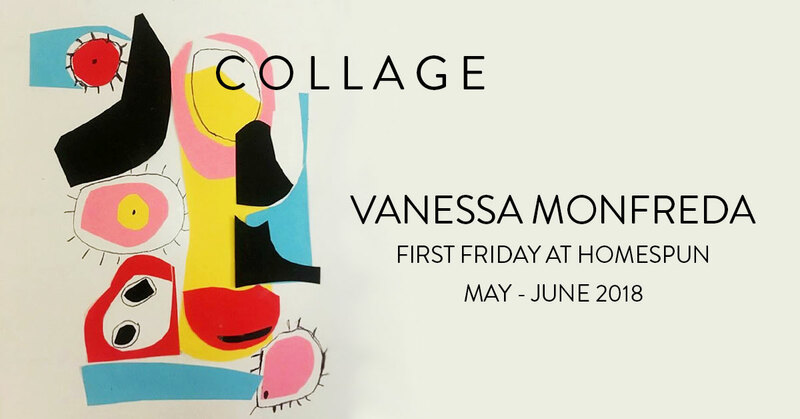 Our shows change every other month with various artists showcasing work in painting, illustration, photography, ceramics, and so much more. We hope to see you for First Friday in May and June! 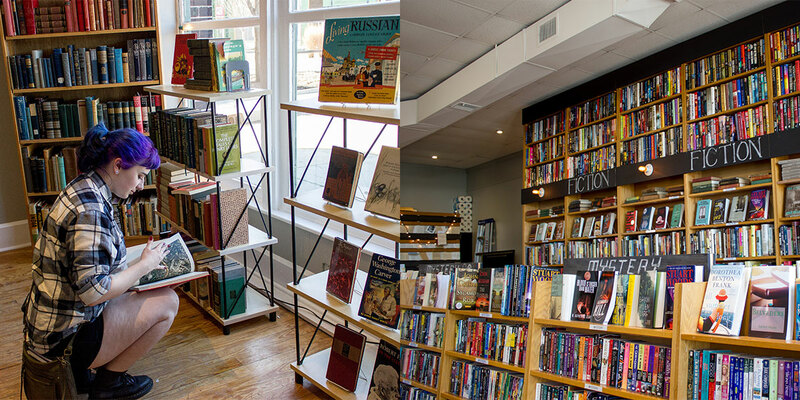 The sun is finally shining and it officially feels like spring, which means our doors are open and are shelves are stocked! On this week’s ICYMI April 13 blog, check out our new goodies and our upcoming classes! 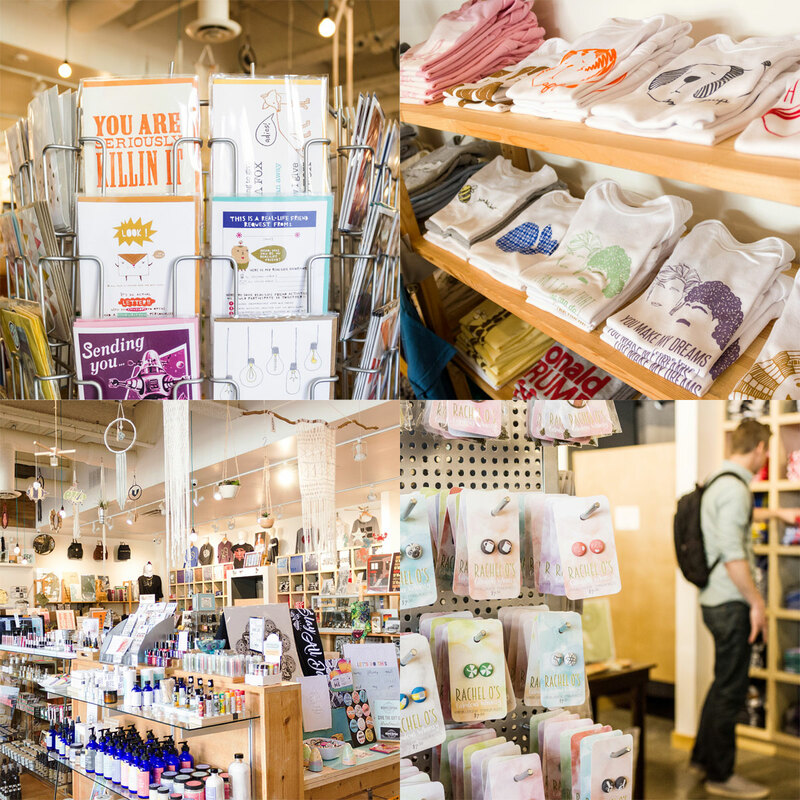 We’ll be featured in an upcoming gift and souvenir publication, so we took some pretty, new shots of our shop. Check them out above and below. What’re you getting Mom for Mother’s Day? Stop in to see our handmade jewelry collection! 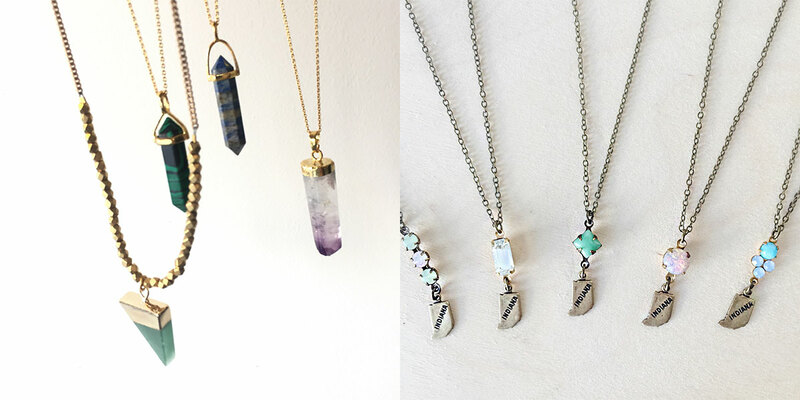 From mini Indiana necklaces to crystals and stone, we can help you get the perfect gift for mom. Want to make it a gift basket? Throw in some bath bombs, salts, and a candle and we’ll package it up for you in one of our custom gift boxes! You can never do too much for Mom on Mother’s Day. Ever wondered what the Gryffindor common room smells like or Snape’s potion class? Well, now you can find out! We just received a new line of Harry Potter inspired candles from JKM Soy! Don’t forget a birthday card for those April babes in your life. We’re constantly getting new and restocked cards in store. We’re big fans of the “Ermgerd Harpay Berfday” card from Band of Weirdos. 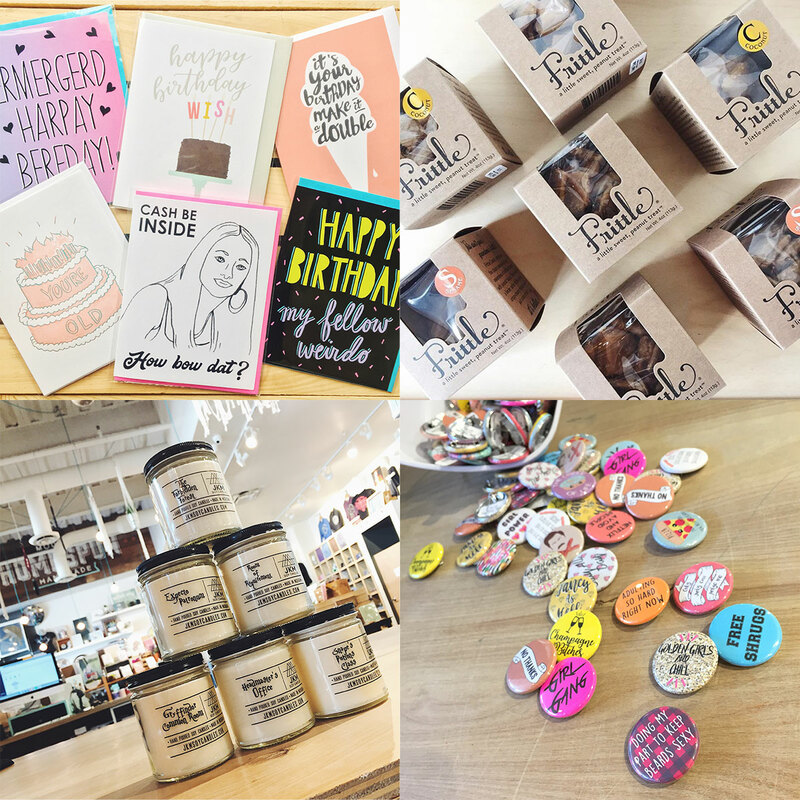 Throw in some Frittle (newly restocked and the pecans are back too) with a sassy button from Flair City Supply Co. and you have a birthday gift anyone would be happy to receive. Now that it’s time to break out the neons and pastels, coordinate with a spring lip from Aromi Beauty. Those matte babies last 8 hours, are vegan, and 100% cruelty free! Always wanted to taste your favorite cocktails, safely, all day long? 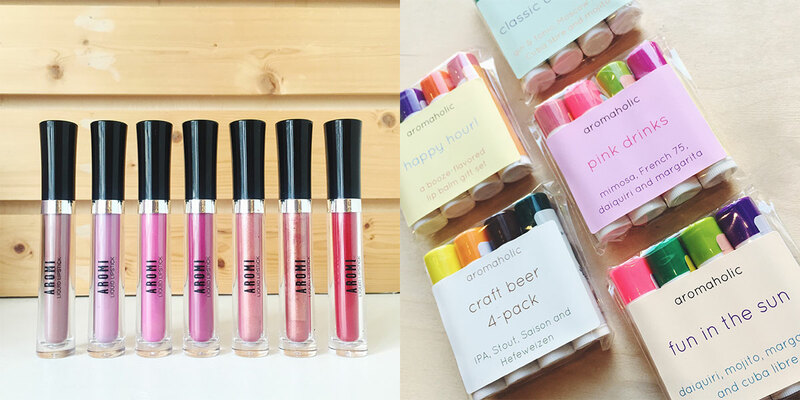 Well, now you can – with Aromholic cocktail and beer flavored lip balm packs! 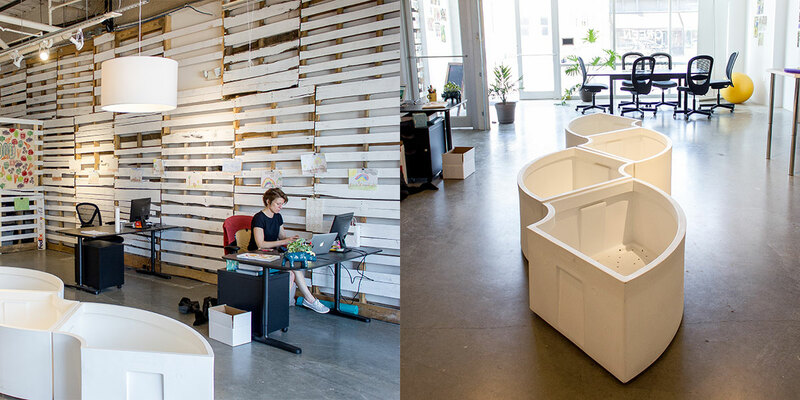 There’s nothin like a fun cubicle to keep you going until 5pm. 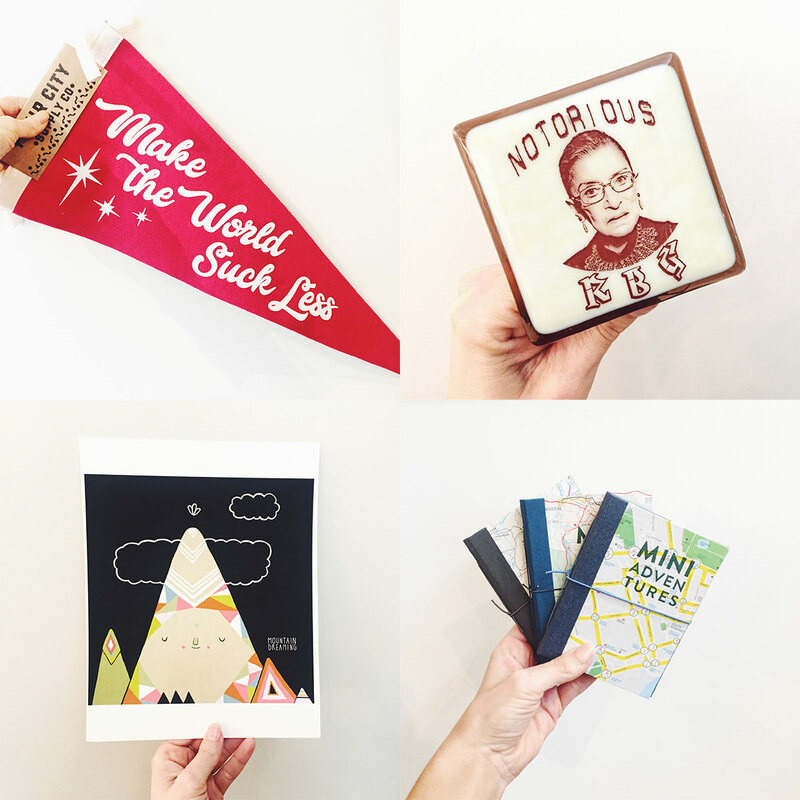 Dress up the drab with pennant banners, pop culture nightlights, posters, and notepads in store. We won’t tell if you scribble down your weekend plans while on the clock. 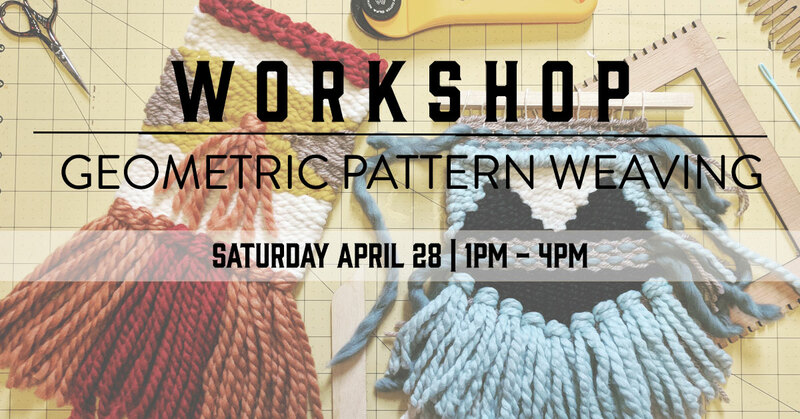 This workshop is happening NEXT WEEKEND and we still have some spots available! 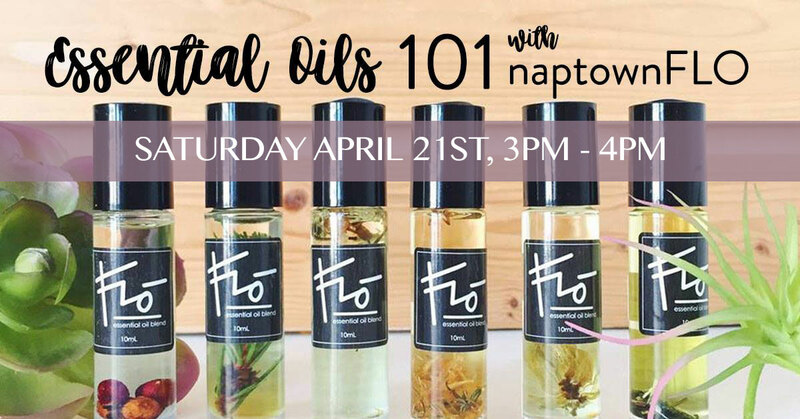 Learn all about essential oils and make your own blend during this class! Click the link above to get your tickets! Only 2 spots left for this class! Click the link above to get your tickets ASAP! All supplies included and you get to keep your loom! That’s it for this week’s ICYMI April 13! We hope to see you in the shop and on the avenue this beautiful spring weekend! And don’t forget to sign up for our classes before they sell out!